There is now a minivan service direct from Bangkok to the Erawan National park which you can book online. Travelling direct by minivan means avoiding needing to first travel to Kanchanaburi and then wait in the bus station for a local bus service to take you to the national park. Bear in mind also that most of the minivan services departing from the centre of Bangkok arrive at North minivan station in Kanchanaburi which is over 20 km from Kanchanaburi bus station. 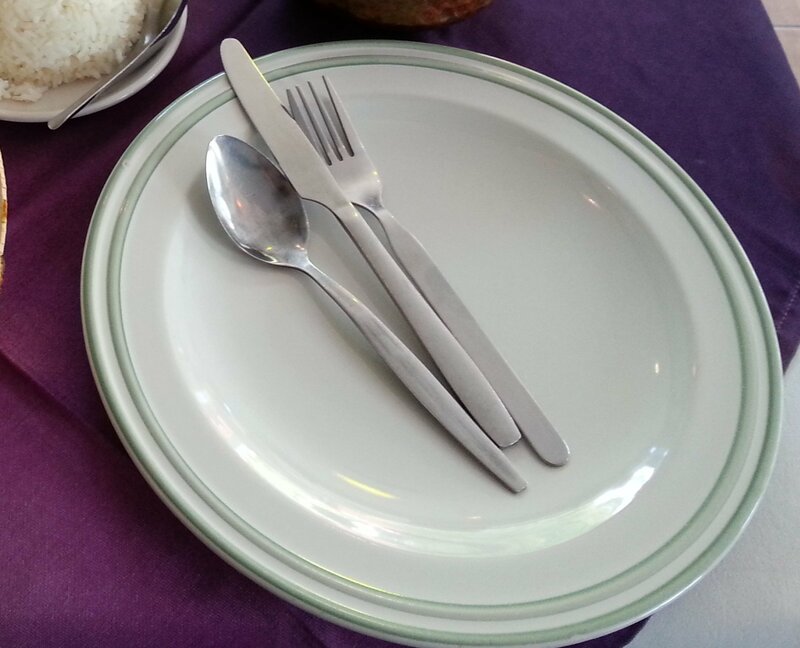 This minivan service direct to the Erawan National Park cost less than most of the minivan services to Kanchanaburi which depart from the Khao San Road area and slightly more than minivan services from one of the major bus station to Kanchanaburi. 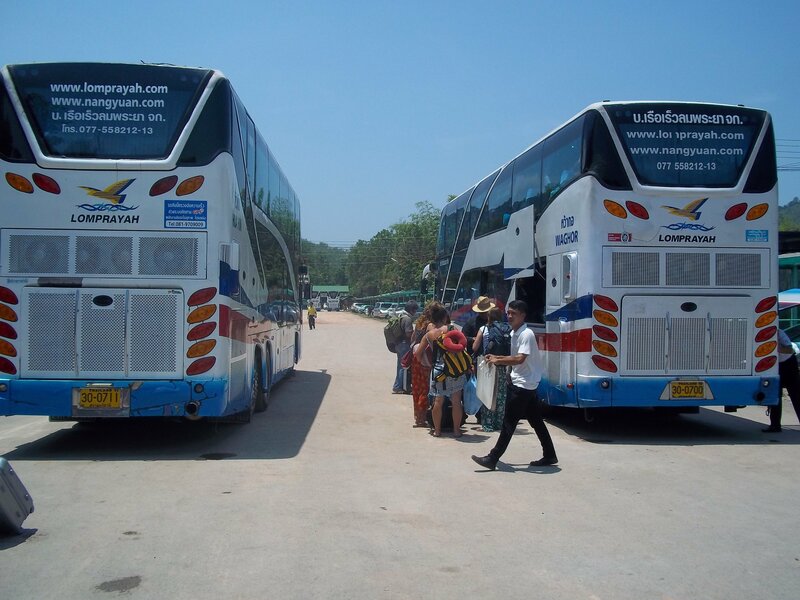 Departure from Bangkok: Bus services to Erawan National Park depart from Bangkok’s Northern Bus Terminal. Minivan Company: This service is operated by Kwan Chee Vee Tour. Erawan National Park Bus Station: This minivan service terminates at a car park near the Erawan National Park Visitor Centre. Use the Search Box below to tickets and flights from Bangkok to the Erawan National Park. On the day of travel check in at the Kwan Chee Vee counter in the bus station at least 30 minutes before your minivan is due to depart from Bangkok . 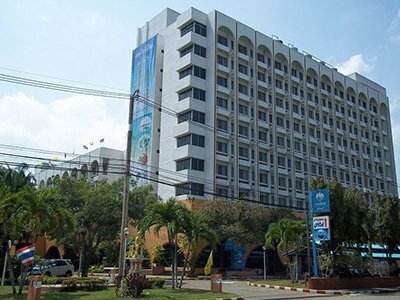 Minivan services to the Erawan National Park depart from Bangkok’s northern bus terminal is known locally as Mo Chit or Morchit Bus Terminal and it is located near the famous Chatuchak Weekend Market. The easiest way to get there is to take the metro to Chatuchak MRT station or the skytrain to Mo Chit BTS station. From either station you then to take a taxi to the bus station. On the meter the fare should be around 60 THB. If you are travelling from Don Mueang Airport you take the 30 THB bus (route A1) direct to the Northern Bus Terminal. From the 1st August 2018 the layout at the Northern Bus Terminal is changing with all minivan services operating out of the large area adjacent to the north end of the bus platforms (a short walk) rather than departing from in front of the bus station near to the entrance from the main road. 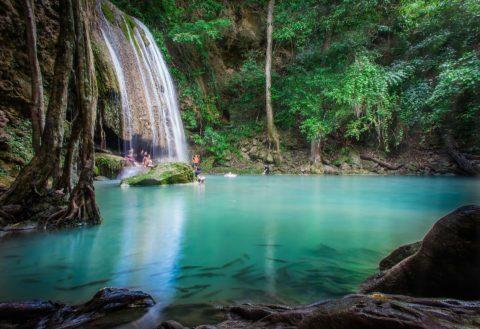 The most famous feature of the Erawan National Park is it 7 tiered waterfall named after a Hindu God and often described as the most beautiful waterfall in Thailand. The first three falls have large pools underneath where you can swim with small fish. The upper falls are more difficult to reach as much fewer people go there. There are some not particularly robust ladders and ropes in place to help visitors up the steep slopes near the top of the series of falls. To visit all 7 falls on foot takes slightly over 2 hours. Other attractions in the park include five large caves the most visited of which is Tham Phra That cave because its only a short walk from a nearby car park and has some good stalagmites and stalactites. Ta Duang Cave, which you need to hike slightly less than a kilometre from Tha Thung Na village to visit has cave painting of trees and animals. There is accommodation and restaurants near to the visitors centre in the park where the minivan arrives. The national park itself offers fan cooled bungalows, but there is better accommodation across the other side of the Khwae Yai river and to the North of the visitors centre in the small village of Si Sawat.